Voting Going on CNN regarding Prophet Muhammad (PBUH) | . ::Khawaja's Blog::. 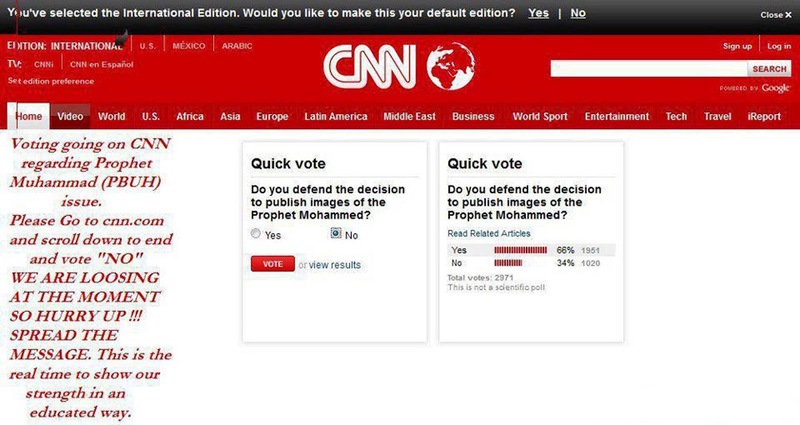 Voting Going on CNN regarding Prophet Muhammad (PBUH). Please Go to CNN.COM and scroll down to the end at right corver you ll see a vote going on. and vote "NO" ! Copy and paste this status on ur wall pic b upload ki hai maine for guidance ! !